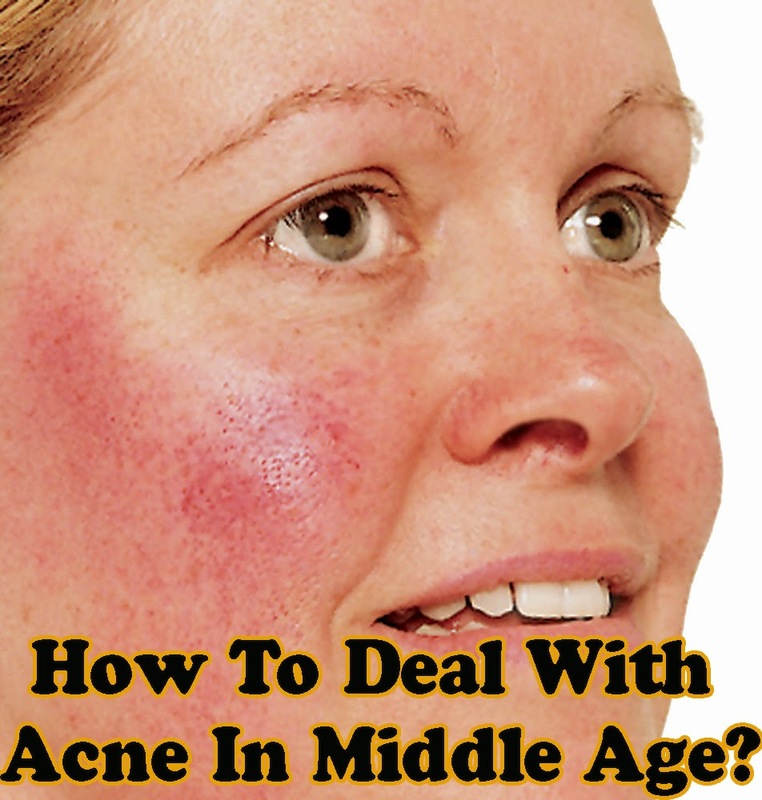 Home » Alternative Medicine » Beauty » Health & Fitness » How To Deal With Acne In Middle Age? How To Deal With Acne In Middle Age? You would think that elderly people had enough to deal with just getting older and watching the bloom of youth fade away slowly but surely. Elderly people are also routinely troubled by problems such as arthritis, blood pressure etc, risk of strokes and heart attacks etc, all of which tells them they have reached the twilight of their lives. You would think that would be more than enough. Surely they do not need anything else, least of all, acne!! This is one condition that does seem somewhat misplaced, associated as it is, rightly or wrongly, with younger people. But it is true all right. There is no getting away from the fact that older people, with all their problems, have not been spared the menace of acne. Unfortunately for them, people at this stage are particularly prone to acne rosacea, which is a chronic skin condition that mainly affects the skin of the face. Be well informed about your acne. Acne rosacea shows up as a redness of the skin, which may spread all over the face. It does not normally affect other parts of the body. Although this condition affects both men and women aged between 30 and 50 years, it is found more often in women rather than men. Acne rosacea tends to develop around the age of menopause. While the complexion initially takes on a reddish appearance, this progresses to become a more severe discoloration of the skin. As the condition progresses, acne rosacea tends to affect the eyes, which could develop conjunctivitis, accompanied by sensations of itching and burning of the eyes. Be vigilant and control your acne. Although the specific causes of acne rosacea are not yet known, this is a condition that can last for several years. Acne rosacea may have something to do with eating certain kinds of food, although acne, generally speaking, is not connected with the consumption of food in any way. This happens because certain chemicals contained in the food tend to react with others in the human system. Keep fit as it will help your acne. You will have to ensure that you get plenty of exercise in an area that is well ventilated. Unfortunately, you will have to avoid using cosmetics on your face, or at least stay away from those that have an oily base. In addition, any products you use on your face will have to be free of alcohol, which will irritate your skin. Do not despair because your acne will get better. Occasionally, older people also suffer from acne vulgaris, which can be very troublesome. This is a condition that can be particularly distressing because of the way it looks. The best way to treat it is to leave it alone as far as possible. Above all, you should avoid scrubbing the affected area. Although there is no direct link between acne and food, certain foods could aggravate the condition. These include nuts, biscuits and confectionery, sodas, chips etc. Change eating habits to fight acne. In your own best interest, you will have to substitute these goodies with water, herbal tea and vegetable juices. You should also substitute whole milk with soymilk, which can be sweetened with stevia. Vitamin E supplements may also aggravate acne vulgaris. Healthy food choices for your acne. You can combat your acne by increasing your consumption of fish such as salmon, sardines, tuna and halibut which contain the vital Omega 3 oils that are guaranteed to make a difference. Eat as many fresh vegetables as you can. Eating a combination of fish and vegetables will probably be the best thing that you can do for your acne. In case you eat fish less than twice a week, you should consider taking fish oil capsules.